Monse's Spring '19 collection is awash with nautical inspiration. 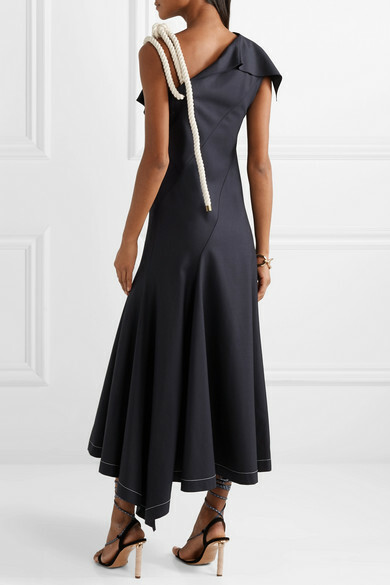 Seen on the runway during New York Fashion Week, this navy dress is strung with chunky sailor's rope at one shoulder, which matches the ivory stitching. 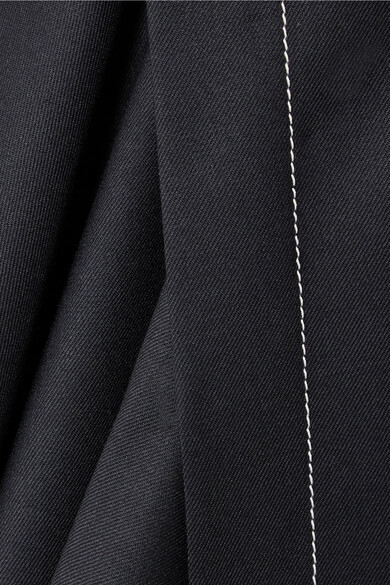 It's made from stretch-wool twill and falls to an asymmetric split hem. Take inspiration from the show by wearing yours with strappy sandals. 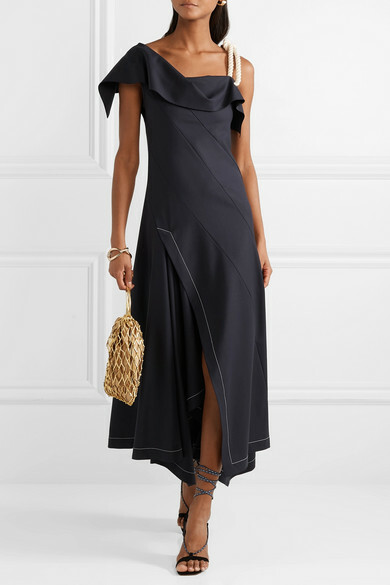 Shown here with: Prada Bucket bag, Jacquemus Sandals, Alighieri Earrings, Ippolita Bracelet.